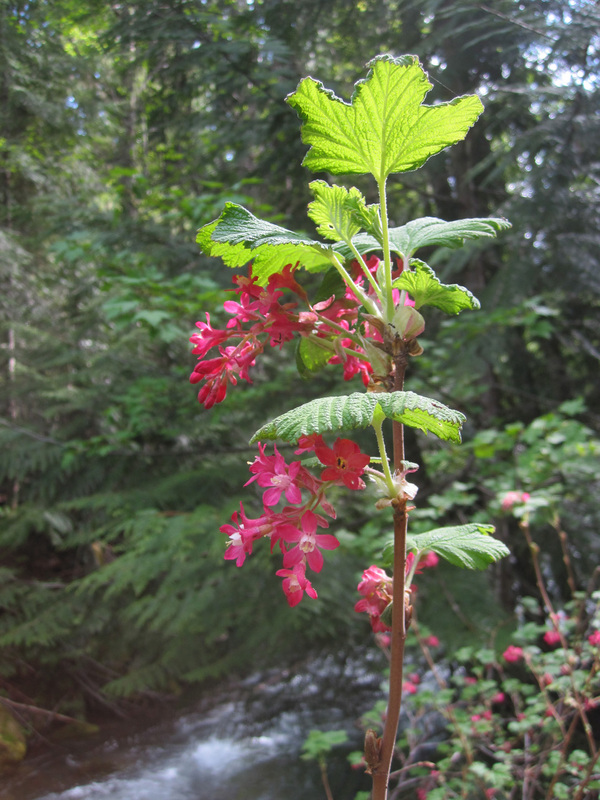 Red currant (Ribes sanguineum), a classic Pacific Northwest shrub and favorite nectar source for calliope and rufous hummingbirds. Snow holds in the hanging valley of Silver Creek at 3420 feet elevation. The sound of water rushing down the gorge underscores the entire day. Wind out of the west is cool, dry.